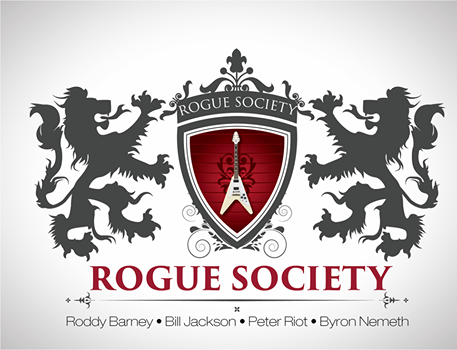 On the eve of the cosmic trifecta of the Eclipse, Comet, and Full Moon of February 10th we are proud to announce the official launch of Rogue Society! —The band is currently working on a high energy show that is not to be missed! A combination of covers that you won't hear anywhere else coupled with Rogue Society originals intertwined in a show you'll want to see again and again — Watch for dates of a landmark first show and checkout the brand new Rogue Society Facebook page featuring photography shot on location at "The Monroe Abbey" Downtown Phoenix, AZ by Carrie Evans.